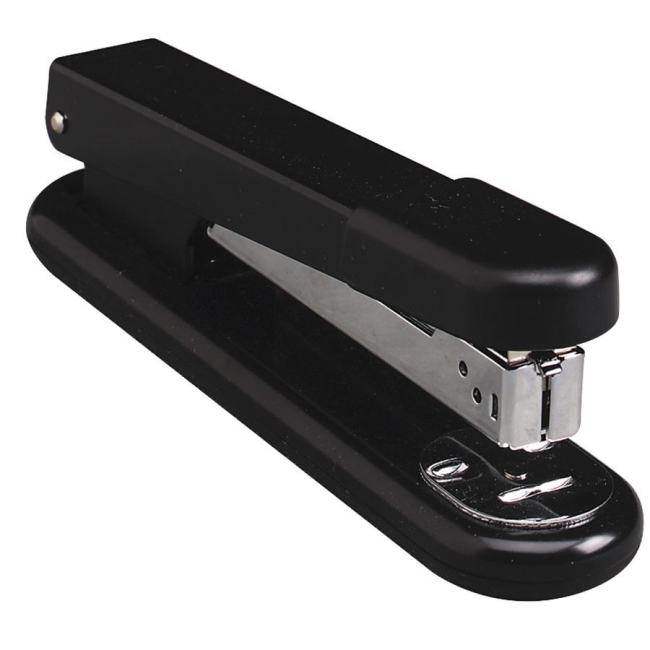 All-metal, full-strip stapler features an ABS round handle cap, rubber base and full-length metal channel. Feeder prevents jamming. Rotating anvil provides stable stapling or pinning for standard staples. Stapler fastens up to 20 sheets at a time.